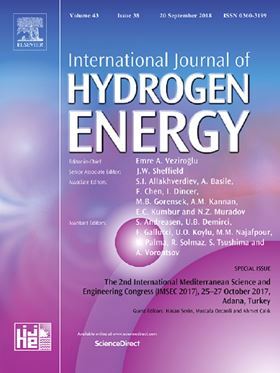 The research article 'Liquid hydrogen pump performance and durability testing through repeated cryogenic vessel filling to 700 bar' has been published in Elsevier's International Journal of Hydrogen Energy (Volume 43, Issue 39, 27 September 2018, Pages 18403-18420). This paper reports the results of a comprehensive test of liquid hydrogen (LH2) pump performance and durability conducted while cycle testing a prototype thin-lined cryogenic pressure vessel 456 times to 700 bar. This extensive LH2 pump experimental data set provides a wealth of information vital for a complete evaluation of the future potential of this promising technology for ambient temperature and cryo-compressed vessel refueling. The experiment was conducted at Lawrence Livermore National Laboratory (Livermore, CA)'s hydrogen test facility, specifically built for this experiment and including a containment vessel for safe testing of the prototype vessel and a control room for efficient monitoring. Original pump and storage instrumentation was complemented with an electric power analyzer and a boil-off mass flow meter for more complete pump characterization. The results of the experiment confirm most of the expected virtues of the LH2 pump: rapid (3 min) refueling of the 65-liter prototype vessel at high flow rate (1.55 kgH2 per minute on average), unlimited back to back refueling, low electricity consumption (1.1 kWh/kg H2), no measurable degradation, and low maintenance. High cryogenic vessel fill density is another key performance metric that was demonstrated in an earlier publication. These virtues derive from the high density of LH2 enabling pressurization to high density with relatively little energy consumption and high throughput from a small displacement pump. Boil-off losses as high as 27.7% of dispensed hydrogen were measured, at experimental conditions not representative of operation at a hydrogen refueling station. These losses drop to 15.4% for operation that may be representative of a small station (332 kg/day), while we anticipate less than 6% boil-off with the existing pump and Dewar with improved LH2 delivery truck operations and a more favorable arrangement of the LH2 pump relative to the Dewar. The coupled rotor-dynamics issue is one of the most important research areas for multi-stage pump systems.